Shell: Flex fabric with digital grip palm and thumb, and stick-grip finger area. Insulation: Megaloft insulation, Hydrowick microdenier lining and Dri-Max waterproof insert. 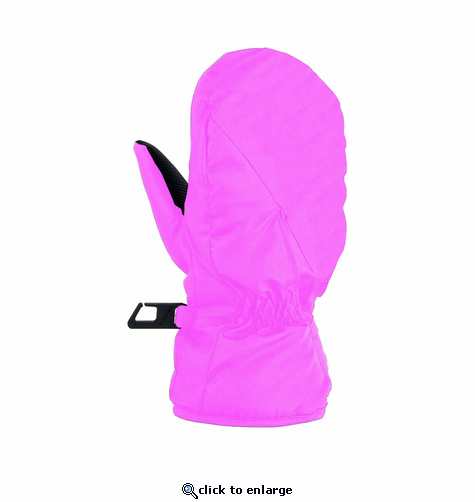 Features: Megaloft, Dri-Max, extremely wide opening for easy entry, hook and loop fastening system to keep the glove on the toddler, palm and thumb reinforcement.